Jody Kropf is excited. He can’t stop grinning as he talks about his new restaurant, Red Hills Kitchen. Kropf, well known to local foodies for his successful Red Hills Market in nearby Dundee, opened his new venture this March inside the luxury Atticus Hotel. 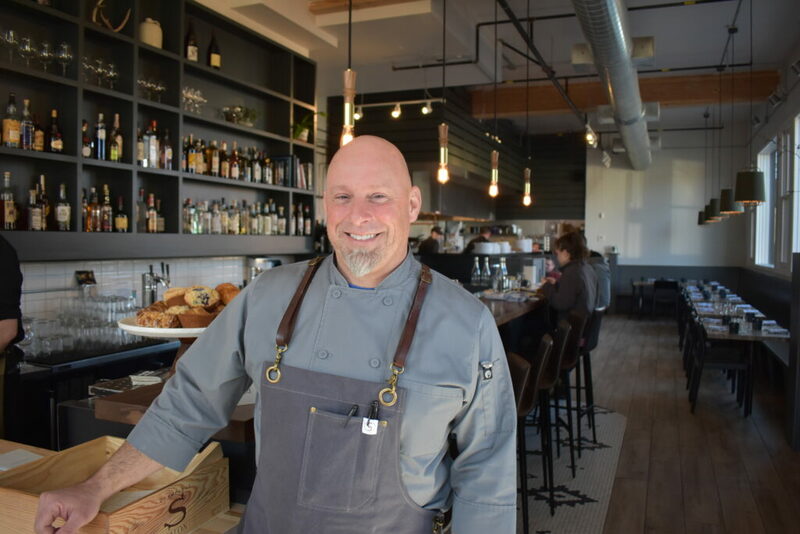 The executive chef and owner is enthusiastic bordering on exhilarated about what he and his team are adding to the already compelling McMinnville food scene. Red Hills Kitchen, located at 530 NE Fourth St., is open for breakfast, lunch and dinner from 7 a.m. to 10 p.m. seven days a week. Stop in and you likely will find Kropf, the executive chef as well as owner, hard at work. He slowed down for a few minutes recently to talk about Red Hills Kitchen and what he aims to accomplish. Q: Why did you open Red Hills Kitchen? Q: What does Red Hills Kitchen add to the McMinnville food landscape? Q: How do you want your guests to feel while dining at Red Hills Kitchen? What can they expect? Q: What is your plan for locally sourcing food? Q: How does your relationship with local farmers help you create menus? Q: Describe the restaurant’s décor. What are you and your wife, Michelle, trying to say? Kropf: “We want guests to feel comfortable. (The interior design is) clean and comfortable and feels fresh. We left some of the things in the kitchen open. That’s why we haven’t spent a lot of time covering up the bar or the kitchen. We want to see the smiling faces behind the line making your food. It’s fun. That’s one of the reasons why we put the Josper oven right in the corner there. It’s so you can see the smoke and you see real fire happening. Q: Last question. You smiled throughout this conversation. Why are you so happy? Dan Shryock writes about cycling, coffee and travel throughout the Pacific Northwest. He’s always excited to discover a great restaurant along the way.